We have been meeting the legal needs of those in Portsmouth, Hampshire and beyond for over 120 years. 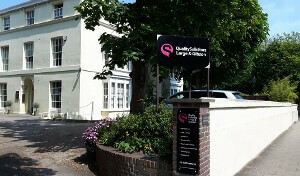 QualitySolicitors Large & Gibson is a local name you can trust. Our lawyers support businesses, families and individuals with client friendly service, expert legal advice and helpful guidance from experienced solicitors and legal teams. We are dedicated to making the process as hassle free as possible for our clients. We promise no hidden costs which means no surprise bills. Meet your lawyer face-to-face and speak directly to staff familiar with your matter. 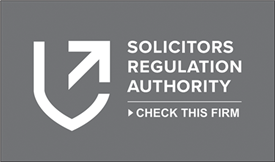 Use our Ask the Legal Expert service to find out where you stand. Our legal teams are here for you Monday to Friday and we are happy to visit you in your own homes, open early or late, and arrange mutually convenient appointments as and when required. 4,000 YEARS AGO THE ANCIENT ASSYRIANS KNEW HOW IMPORTANT A PRE-NUPTIAL AGREEMENT COULD BE! This Tablet is an Ancient Pre-Nuptial Agreement unearthed from the UNESCO World Hertiage site in central in Turkey. The area was a settlement during the Old Assyrian Empire between 2100 BC and 1800 BC. Quality Solicitors Head Office has just released figures following their sponsoring of Barnardo’s Will month where member firms were asked to write wills under the scheme, which allowed anyone over 55 years of age to have a will prepared by member firms FOC. A Conservative MP has criticised his party’s proposals to introduce a huge increase in probate charges, claiming they will be seen as a ‘tax rather than a charge’.